Remember the sheer ingenuity of turning on the hose to create your very own backyard ice rink? No? Was that just me? OK, well this is much more exciting than the childhood elation I felt back then. 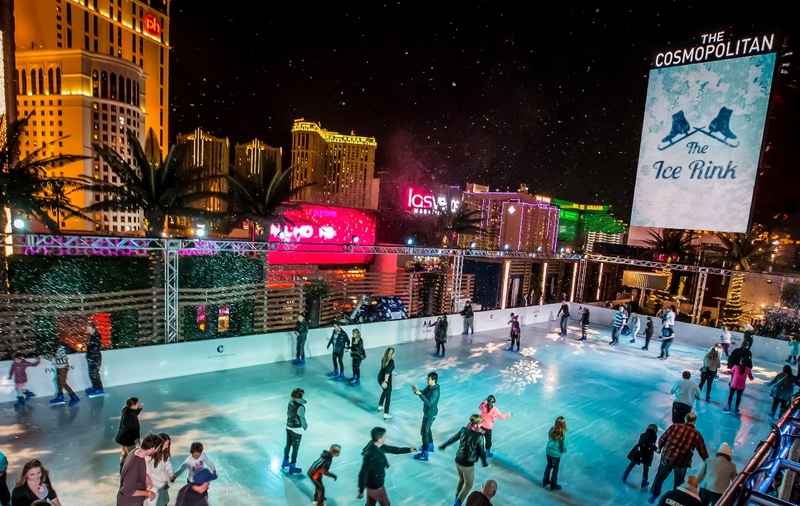 Prepare to be impressed by rooftop ice skating, hot adult beverages, holiday movies and fire pits, all on the Las Vegas Strip (I’m seriously trying not to squeal). See, we really do get winter in Vegas…even if we have to construct it. Photo courtesy of Magrino. There will also be several special events including ‘Date Skate’ Mondays, an Industry night on Wednesdays and ‘Throwback Thursdays.’ On Friday, Nov. 20, world and U.S. figure skating champs Tai Babilonia and Randy Gardner will host Ice Out Cancer Over Vegas for Pancreatic Cancer Awareness Month. The event will include a silent auction, performances by professional figure skaters like Olympic gold medalist Scott Hamilton, British national champion Steven Cousins and U.S. national and world champion Kimmie Meissner. Tickets are available on their website. The Ice Rink will be open Nov. 20 through Jan. 3, Monday through Friday from 3 p.m. to midnight, and Saturday to Sunday from noon to midnight. Tickets to skate are $10 – $15 with skate rentals for $5. Entry around the rink is free.